Western North America. British Columbia to Mexico, east to South Dakota and Texas. Sea level - 3050 meters. Average annual temperature: 5-10 C. Average July/ August temperature: 17-21 C. Annual extremes: -40 to 43 C. Average annual precipitation in dryer parts of range: 355-760 mm, much as snow. Average annual precipitation in wettest parts of range: 1750 mm. In Washington, found east of the Cascade Mountains. Some found in Western Washington in the Tacoma/Olympia area. Warm sunny places that are dry in the summer. Although sites are dry, there is available soil moisture. Can tolerate severe winters and can tolerate wet soil in the winter. Can be climax species or serial species. Climax species at the lower limits of coniferous forests. Serial species at higher elevation more mesic forests. Fire kills seedlings but not older trees. Fire suppression is creating an understory of Doug-fir and true fir. In the NW: Doug-fir, lodgepole pine, grand fir, western larch, Arctostaphylos, Ceanothus, Spirea, snowberry, Oregon grape, Poa spp., Festuca spp. Seed. Doesn't naturally reproduce vegetatively. Difficult to propagate from cuttings. Can be propagated by rooting and grafting but success decreases when scions taken from trees more than 5 years old. Collect cones as soon as they are ripe. This is when the color changes from yellow-green to russet brown, September and October. 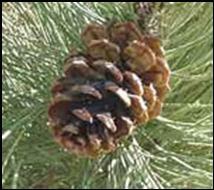 Widely spaced dominant trees have the most seeds per cone. Begins to produce seed at 7 years and continues to 350 years. The most viable seeds come from trees 60-160 years old. No regular interval observed in heavy cone crops, can be up to every eight years. 31-70 seeds per cone. Fresh seeds have no dormancy and will germinate immediately upon collection. Up to18 years. 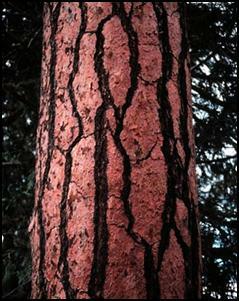 Pines have highly variable germination after storage. Plant seeds in the fall after collection or in the spring after cold stratification. If seeds have been stored, they require 30-60 days cold stratification. Seeds or container grown plants from seed. 380 seeds per square meter. Moisture stress and competing vegetation decrease seedling growth and survival. Medium growth rate, 75 feet after 40-50 years. Long lived, often exceeding 500 years. Dirr, M.1998. Manual of Woody Landscape Plants.